In the UK there are currently 85,690 people in prison, not including people detained under the Mental Health Act, in Secure Children’s homes or in Immigration detention. 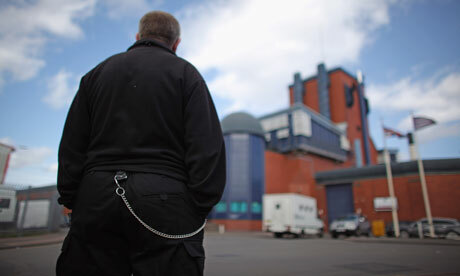 (2) The prison population in England and Wales has doubled in the past twenty years. Detailed in the Safer Custody Reports from January – March 2012, in the past year there were over 211 deaths in custody, 5611 self-harm incidents and 3,725 assault incidents (5). The rates of self-harmers being women is approximately 11 times higher than for males. The harm of the prison system isn’t just inside the grey buildings and huge walls. Its web of violent interrelationships entangle prisoners, their families, lovers, friends and communities the world over. 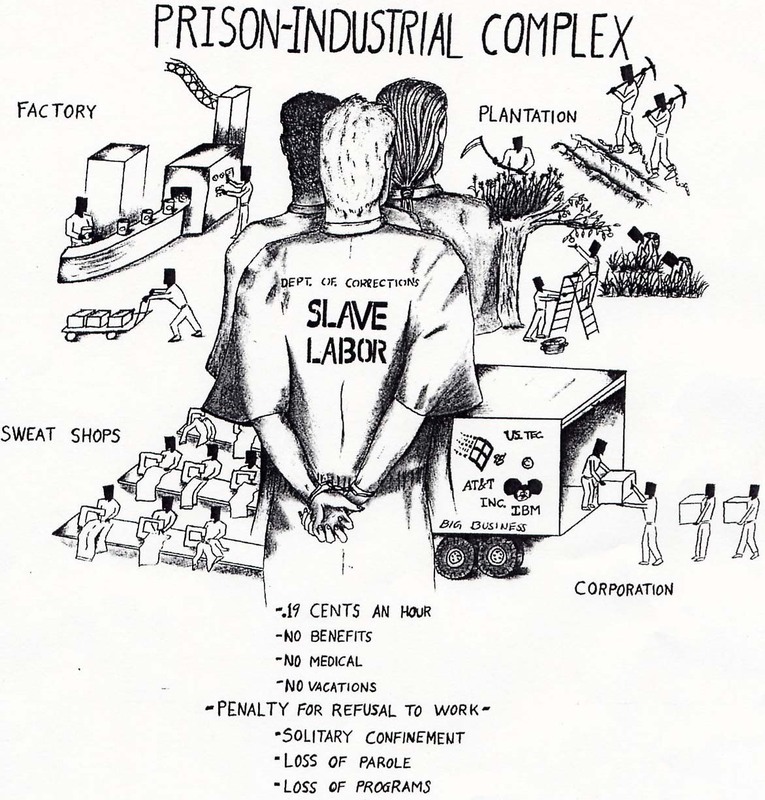 As a collective we oppose both state and private prisons and we would like to illustrate how these are connected, and how prisons are used as a tool worldwide for social control and repression. The UK has the most privatised prison system in Europe, with 11.6% of the total prisoner population (nearly 10,000 people) held in private prisons (4). 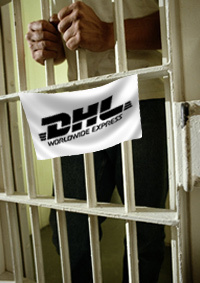 Immigration is also a major player in the privatisation of the prison system. Since the 1990s there has been a major increase in “detention centres” or “immigration removal centres”, with no time limit on immigration detention (6). 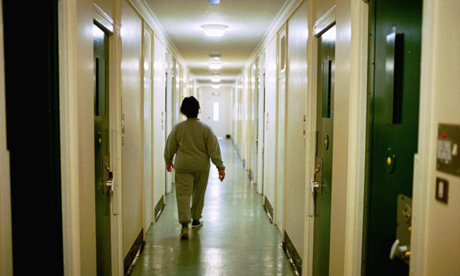 Women from foreign countries are one of the fastest growing groups in the female prison population and represent one in seven of all the women held in custody in England and Wales (4). Criminalisation is the process through which actions become illegal. Actions become crimes only after they have been culturally or legally defined as crimes (1). In the UK entire groups of people are targeted by the ‘criminal justice system’ for punishment and control, for example poor people, people of colour, queer communities, individuals with psycho-emotional health challenges trying to survive in our culture, as well as political organisers and those that resist capitalism and the state. In the past fifteen years, more than 3,200 new offences were created meaning people who would not have been criminalised previously are now swept into the criminal justice net (7). In our culture we are manipulated through myths that anyone who breaks the law (a criminal) is a direct threat to us and our families and that safety of all kinds, including economic security, can be guaranteed by watching, controlling and caging the groups of people who suffer most because of poverty, racism or other forms of oppression. Capitalism is an economic system in which a small number of people maintain ownership and control of the means of production (e.g. Machines, factories, land) and the ways of distributing and making money off those goods. As a collective we are not blind to the fact that crimes committed by many people who end up in prison can and do harm other people, for example we would never minimise the harm of being raped, the feeling of violation through experiencing a robbery, the life-long memory of assault and so on. However we also recognise that the state is also responsible for harm, for example imprisoning people, enacting policy that creates and perpetuates poverty, war and more, and these two aspects – interpersonal harm and state harm are interlinked. Therefore as abolitionists we commit to designing and working for safe communities that genuinely reduce harm.